JIANGSU ORIENT PUMP INDUSTRY CO.,LTD. Jiangyan Orient Pump Industry Co., Ltd is located in Jiangyan, the water and land communication is very convenient. 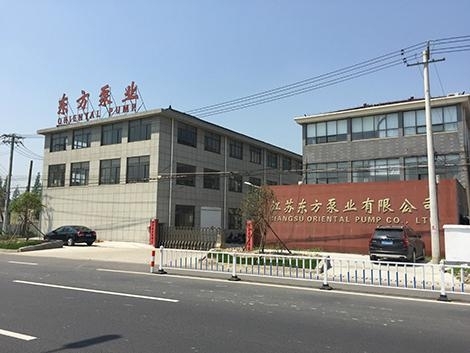 Company is the private enterprise that specialty production the pump series products such as hand-operated oil pump, hand press water pump and YL’s pump etc. Company possesses the complete production establishment, and has complete quality management and the checkout system, and provided the strong guaranty for the product of high quality. Exporting the products (hand-operated oil pump, hand press water pump and YL’s pump) sell best more than 20 nations and districts such as the Europe and America, Middle East, Africa and Southeast Asia etc, the internal sales scene also fairly has a good prospect. The excellent quality, reasonable price and technology innovation had been gained the trust and recognition of customer deeply many years.